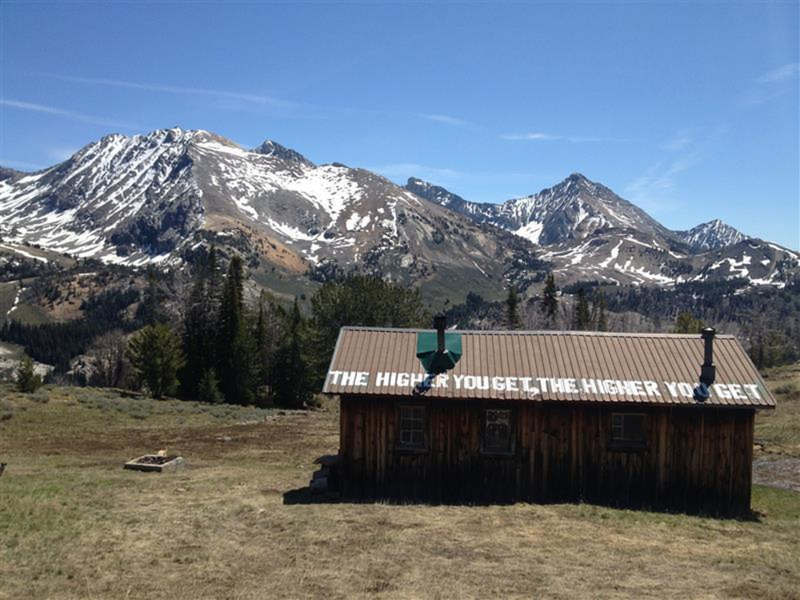 A steadily climbing loop hike in the Pioneer Mountains to Pioneer Cabin offering sweeping views of peaks in the Pioneer, Smoky and Sawtooth Mountains. 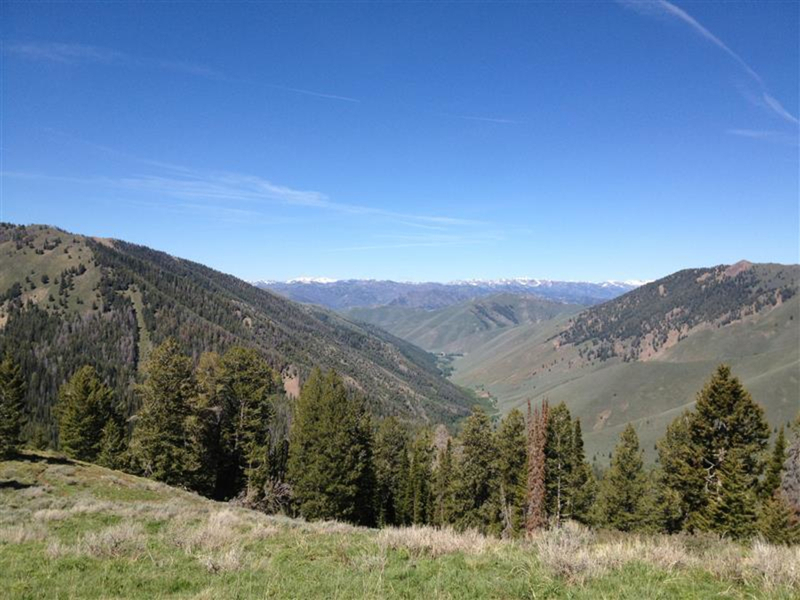 Some intrepid souls run up the switchbacks of this trail, but for most of us folks, hiking this popular Sun Valley/Ketchum trail offers a good challenge while moving at a more reasonable pace for enjoying the phenomenal views. 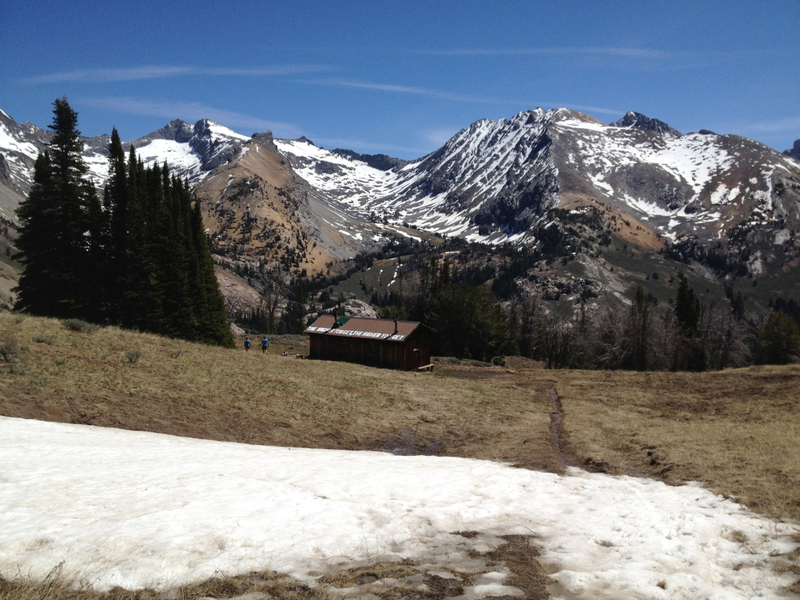 Pioneer Cabin Trail can be accessed from either the Hailey side via the Johnstone Creek Trail or the Ketchum side via the Pioneer Creek Trail. From the Ketchum side just a short drive up Coral Creek Rd off of Trail Creek Rd, an 8.5-mile loop begins at an elevation of about 6,950’ the trailhead climbing to just about 9,500’ at the highest point. Hiking the loop counter clock-wise puts most of the “up” in the shade. Crossing the creek at the trailhead, the path climbs steadily up 23 switchbacks through a cool forest. Marvel at of trees in this old growth forest. Peek-a-boo views of the Pioneers, Smoky’s and Sawtooths through the trees are a welcome distraction from the steady climb. Crossing a short scree slope, the trail continues up becoming more high alpine and opening into a meadow. A last push towards the saddle rewards with spectacular views of Hyndman and Cobb Peaks and ridges in every direction, as well as the Cabin just below. Continuing past the Cabin, the trail becomes a bit less obvious and descends steeply. Crossing talus slopes and two creeks, duck in and out of trees before climbing back up to a ridge with open and sweeping views. Hike in wildflower season and this open expanse will be filled with colored blooms. Continue on down the trail, descending back to the trailhead. Before hopping in the car to head out, strip off your shoes and dunk your hardworking feet in the cold alpine creek (dunk your head too if its really hot!). Back in town, head into KB’s Burritos, with a new location on Main St. for a well deserved, hearty burrito and a cold beer or lemonade. Or, swing by Leroy’s Ice Cream shack in Ketchum’s Town Square (or both). 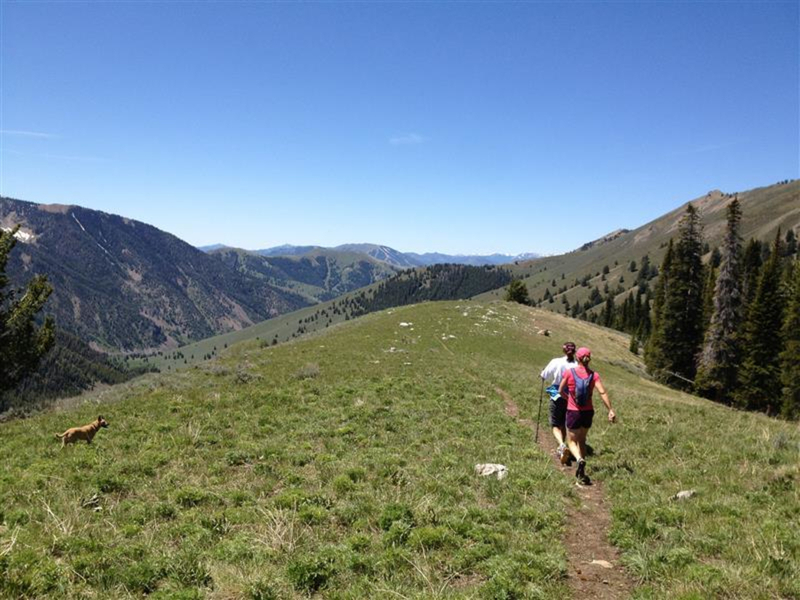 Some intrepid souls run up the switchbacks of this trail, but for most of us folks, hiking this popular Sun Valley/Ketchum trail offers a good challenge while moving at a more reasonable pace for enjoying the phenomenal views. 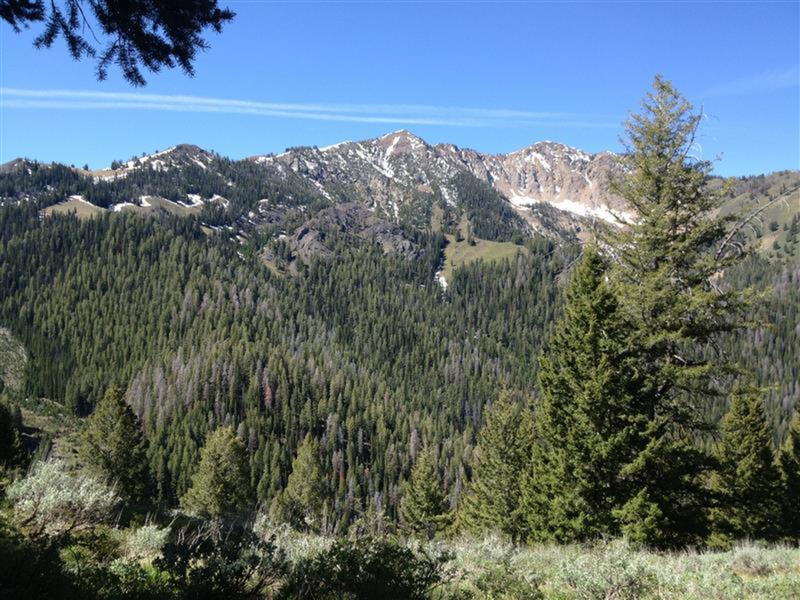 Before hiking: Stop in at the ranger station, located inside the Starbucks on Sun Valley Rd. in downtown Ketchum for a free map and to get the latest trail conditions including remaining snow yet to melt. If making an overnight trip out of it, there is camping along Trail Creek Rd.